Yes, tomato toast on the first day of autumn. After our big road trip across the United States, I couldn’t wait to come home to our garden and start eating fresh tomatoes. The plants did not disappoint, and we ate tomatoes just about every day. 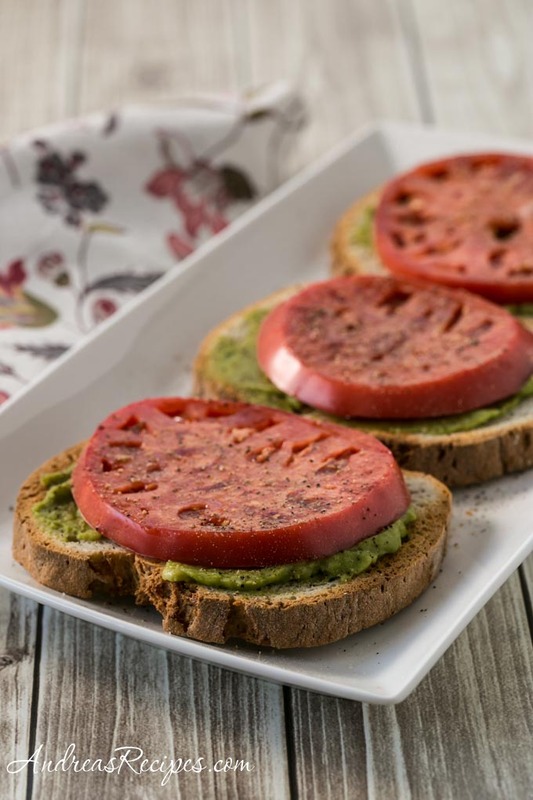 My favorite time of day was when I sliced a ripe tomato, spread guacamole on gluten-free toast, laid a slice on top of each, and sprinkled sea salt and freshly ground pepper on top of each. Sometimes it was a fast meal, but when I had the opportunity I lingered over it while savoring a good novel on the side. Breakfast one day, lunch another, both on occasion. Those were the best days. We planted our favorite slicing tomatoes: Mr. Stripey, Early Girl, Better Boy, and German Queen. This is the last of the Better Boys, and we only have a few slicing tomatoes left. The plants slowed over the last few weeks, and Michael started taking them down over the weekend. We only have a few grape tomato plants left, and those will likely be done in a couple of weeks. So on this day when many of my friends celebrate the first day of autumn and pumpkin spice everything, I am celebrating summer for one more day. I will greet autumn soon, but for now I want one more day of tomato toast with guacamole, one more day of warm sunshine in the garden, one more day with the scent of fresh tomatoes and basil on my hands. Soon autumn, soon, but not today.